In spite of leading a busy life, people still go for volunteering works because they know helping the community also keeps them happy. There are certain benefits of volunteering that can be learnt on practically doing it. It can benefit your family, your friends and also your health. It can even be progressive to your career and improve your physical and mental health. People who volunteer care to bring a difference in the society. Moreover, you get to face new challenges, gain experiences, learn new skills and techniques and learn to communicate with people. Therefore, there are many benefits of helping others that cannot be gained from any other way. It is very necessary to meet new contacts to proceed further in life. Helping others, in short volunteering, can bring you in touch with many new people in the community with whom you can work together and get to learn new things from them. This strengthens your ties and expand your network and makes you socially strong. You get to perform new activities which can be helpful for your family and yourself. Helping others boosts your self confidence and benefits you from physical and mental health. It also helps fight depression and isolation which is a very common illness in people. Research has found that people who volunteer have lower mortality rate than those who do not do it. It claims to reduce chronic pain and heart diseases. Volunteer skills also reduces stress and develops a strong support system. Helping others give you a better career experience in your area of interest. It offer you to practice the important skills in the workshop such as team building, problem solving, project planning, communicating, task management and work organization. At times, volunteering gives you an opportunity to work in a particular company who deals with similar work or the job that you are interested in. Volunteering gives you a better experience in all work methods. Some workshops provide exclusive training that make you knowledgeable and benefit you with a bigger community. Many people have the misconception that since volunteering is an unpaid help it won’t benefit them in any way, rather they are wasting their valuable time in the campaigns. But this is not true. You have the opportunity to become a counselor in the related field if you donate your time for people. This is the easiest way to explore all your interest and passion. Volunteering gives you a relaxation and relieves stress from your daily schedule. It develops self motivation, boosts your confidence level, enhances your creativity and personally help yourself in many ways. Many people volunteer to spend some time outdoors for peace because they don’t find that calmness in their office jobs. Besides benefiting your health and yourself, volunteering is also profitable to the community. It gives you the satisfaction of working for others and for bringing a difference in the society. You feel connected to many people for a good cause, the feeling that cannot be achieved through any other work. Volunteering doesn’t mean that you have to move around in the streets all day to help people or spend your day in a boring office environment. Volunteering can also be done from home, from over the phone, or from your computer. Since this is the digital age, most tasks are completed over a computer with the help of emails and websites. You will also be offered to attend training and workshops that add a fun in the work. To help others is a kind job and everyone appreciates it. Therefore, you’ll be showered with praises and admiration that leads you towards motivation. This improves your self-confidence and motivates you further. You can identify and focus towards your goal. It makes you optimistic and brings out your ability to perform well in all the tasks. You see a better future and take everything positively. 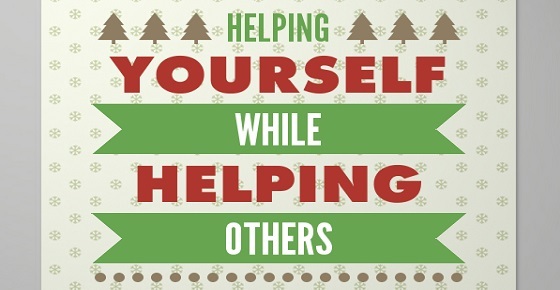 Helping others makes you concerned about yourself and you start taking care of yourself. You get to learn the do’s and don’ts of life and learn to handle tasks properly. This helps you learn more and handle everything in a matured way. One of the biggest benefits of volunteering is that you’re no more afraid of the new changes and behavior. Changes can come in different ways so your learning experience helps you to tackle with it and face the behavioral changes of people. It is important to keep changing your organization to gather new experiences and learning. You won’t know from where you might get a huge opportunity and get to meet good people. The more you contribute towards people, the better volunteer you are. Besides acquiring new experiences from life, you also get a chance to choose your career and gain experience. You can focus on your needs and the type of career you want to pick up. You get a chance to try out a career without making a long term commitment. At some places you get a chance to volunteer directly through the organization. For example, if you are into nursing then you can volunteer directly through a hospital or nursing home and get volunteer experience. In short, you get an internship that is very much beneficial to your career. So you can see that putting a helping hand so much benefits you in many ways. You acquire an improvement in your character and personality and get the capability to focus much towards your goals. You learn to question during training sessions and workshops more in order to obtain knowledge on a particular field. Volunteering is not only helpful for people but much helpful to you also. So if you want to be a better person and want to achieve something personally and professionally, then start volunteering today. Previous articleHow to Write a Resume for an Entry Level Position Easily?